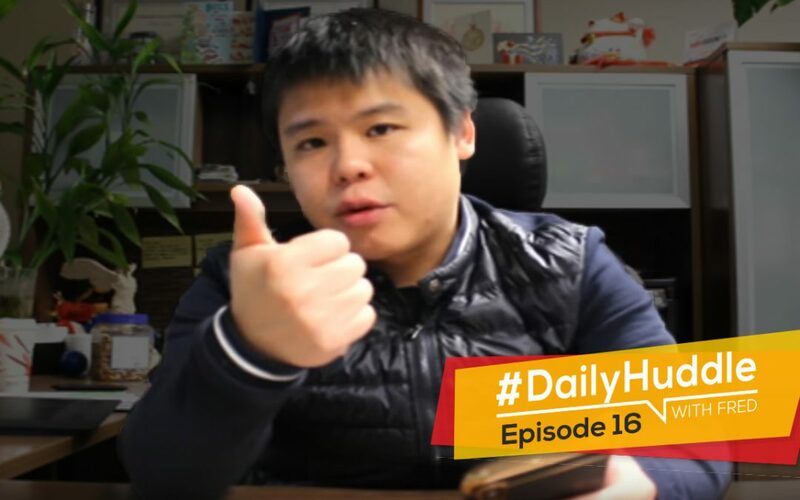 Fred Lam here and welcome to our daily huddle episode 16. First thing first, tell me if you are excited about our daily huddle today. Actually, I’m going to share with you a personal story of mine before I go on answer five burning questions that have been submitted to me where I’m going to answer them in complete details so that you can learn and gain knowledge on exactly what I would do if I were in your position. If you are on Facebook right now make sure you click on the like button and if you are on YouTube make sure you click on the thumbs up icon so I can see them all. Before I go into my personal story, I really want to bring up one critical information that I want to share with you. The thing is that I’m going to ask you to make an investment today. I’m just going to be clear, honest and upfront with you about that and I’ll cover that in just a minute. So let’s go to my personal story on how I really went from washing dishes, working at a dead-end job to now owning several multi-million dollar businesses. I was able to all of those not only because I was able to tap in into the eCommerce world; it is really because I started to understand about money. I would have to tell you a lot of people actually don’t understand money. You may be thinking well I’m just going to be working at a job, making my salary or I’m actually building a business and as long as I have more money coming in and what my expenses are then that’s great. Well, the truth is ultimately if you absolutely want to learn more about money it is actually a lot more in-depth than what you actually see. Like this dollar bill right here. This is a dollar bill but if you know how to invest your money wisely and if you understand money you can actually turn this dollar bill into hundreds of $1 bills. You’re only able to do that especially if you really understand what money is. There’s an old saying that a lot of people basically go like well “Money is the root of all evil.” Well, to be honest with you I actually have a different saying. I think that having no money is the root of all evil. Look at the crime rate and everything if we actually have a society where all the homeless people, all the drug addicts actually have money well guess what? The crime rate is actually going to decrease and that’s actually very important. That’s why I go against thinking that money is the root of all evil. I personally believe that having no money is the root of all evil. When I was actually first washing dishes during elementary and high school I never finished an entire book. I may read a chapter and I went like, “This is so boring” and I didn’t read it anymore. But then one day, I picked up this book by Mr. Robert Kiyosaki, the person whom I look highly up upon and as you guys all know I’m actually really good friends with him and his team right now. This book is the first book that completely changed my life. It’s actually not the “Rich Dad Poor Dad” it’s this book called the “Cash Flow Quadrant”. You can see it here Mr. Robert Kiyosaki has created ESBI. This quadrant is so important that if you understand this you can make a lot more money in your life and you would basically be investing and earning a lot more than what you believe yourself can do. Put in a ME right in the comment box if you have heard of Robert Kiyosaki or you have been following him or if you have read his books in Facebook and YouTube. Alright, I’m getting a lot of people saying ME right now. Here’s the deal this book actually costs $17.95. It cost me 20.95 Canadian because I’m in Canada but here’s the deal what if I tell you that just $1 and I believe that every single one of you has a dollar right now. If you have a dollar in your pocket, in your credit card or somewhere put in a 1 into the comment box on Facebook and put a 1 into the chat box in YouTube right now. For those of you who say I have a dollar listen up, there’s a link above this video on Facebook and on the video description on YouTube there’s a link which is tiny.ie/rich dad. I want you to click on that link and register for the first ever in history that rich dad’s team is hosting a two-day virtual summit where Mr. Robert Kiyosaki himself is going to be keynoting and also he’s going to bring on all the industry titans for you to learn how you can actually go over an employee to becoming self-employed so building your own business, how to scale it to be a real business, having people work for you and ultimately become an investor. That’s where you want to go from an E to an S to a B to an I. If you want to learn exactly how to do this and if you want to learn from all the experts that Mr. Robert Kiyosaki himself is actually working closely with, I highly encourage you to click the link above this video or right below if you’re on YouTube and sign up. It will only cost you a dollar. This book is actually $17.95 but today for $1 you get to learn directly from Robert Kiyosaki and his entire team this industry’s titans. We’re talking about legal experts, tax experts, entrepreneurs. We’re talking about opportunity in bitcoins everything that you need to know to become financially independent then you seriously have to click the link above this video on Facebook and right below on YouTube click the video description. Save your seat; it’s only $1. I would tell you this is going to be the absolute best investment you will ever make this year. It’s just a buck. Skip the can of soda, or skip the bag of chips and you get your golden ticket to learn from all industry experts. You’re actually going to learn from me because I’m one of the keynote speakers as well. Again, I was able to do all of these because I learned a lot from Robert Kiyosaki. When I was a kid I really looked up to him and I feel like he is my mentor. I actually bought every single book that he has after I actually read this one and gone through everything.Today if you click the link above this video on Facebook and right below on YouTube, you can actually sign up for just a $1. There are no excuses just a $1 and you get a two-day virtual summit. It’s going to be 16 hours of content where you can learn exactly how to become financially independent. Put in a ME right in the question box if you guys are basically going to say, “Fred, I’m going to invest this $1.” It’s just $1; just a buck that’s all it is and you get to learn from all the industry titans. I’m getting a lot of ME’s pouring in right now. [0:09:04] Question 1: PPE, WC, picture ad, video ad, free + shipping but no sales. I don't know what I’m doing wrong! 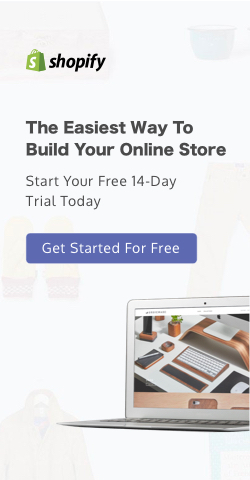 I have tried everything to get sales on my website and all the formulas and methods: PPE, WC, picture ad, video ad, free + shipping but no sales. I don’t know what I’m doing wrong! Maybe my website is not converting or my audience is not good. Can you please review my website and give me some advice? First thing first, I do not do a public review of websites. I’m just going to be flat out honest with you but here’s the deal I want to help you as much as I can and I’m going to create an exception today. I’m looking at your products and they’re actually I do have to say all over the map. However, I do see some products that are pretty unique and that’s pretty interesting. That should work for you. When you were telling me that you tried everything and you have not got a single sale; that really means one thing. You may not have your check out process created properly. 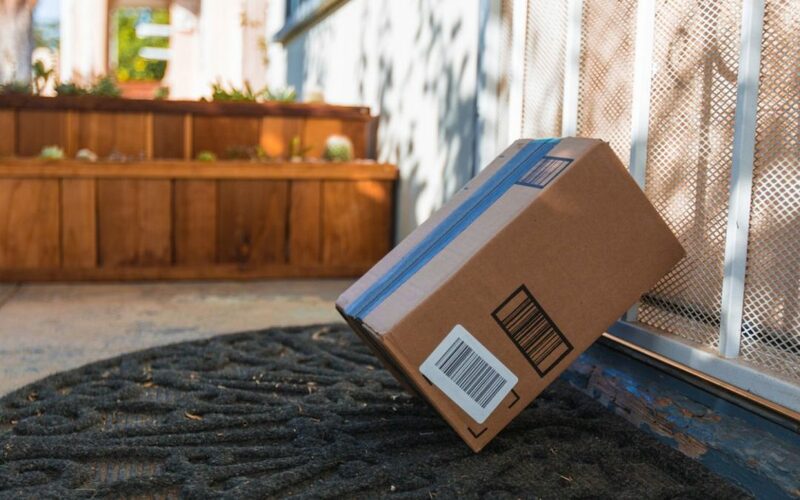 Have you done a test order yourself to go through it as your customer to see if the shipping is correct and if the items are correct? That is very, very important. As a matter of fact, sometimes I’ve seen reviews from my members that their site cannot even go to the checkout. I don’t know why but you want actually make sure that you yourself can be the customer to go through the process to make sure that the process can be done. Next step is dissecting your ad’s data. I would have to tell you don’t run PPE. For those of you who don’t know what PPE means, it stands for Pay Per Engagement. You don’t want that because what Facebook is going to do is to find people who will engage with your ad and that’s it. You always want to go after website conversion. 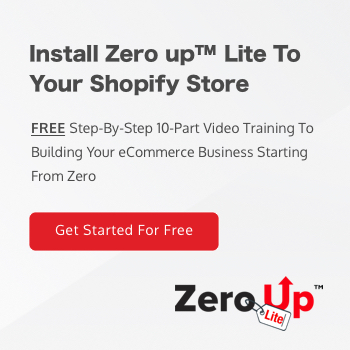 If you go after website conversion if you create a video ad, or a picture ad and if you have used free plus shipping and you were getting no sale then it really means the following thing: You did not actually download my 10-part video training series to look at the four levels of optimization. You want to look at your click-through rate link, your cost per click link right out the gate to really see if your ad is having a problem or it’s your targeting that is having a problem because ultimately what you want to do is that if you’re able to achieve a $1 cost per click link or less then chances are you will be getting sales here and there. You won’t be absolutely getting any sales. I’m just dissecting this right now and my assumption is that there is something wrong with your ad or there is something wrong with your targeting that you really need to look into it. Start looking at the cost per click link and the CTR because those are the indicators that will tell you if it’s the audience problem or if it’s the product problem. So you want to basically look into that. Dissect your data first and then regroup and create ads that would actually resonate with your audience. [0:12:29] Question 2: I have to charge in CAN $ and charge the provincial-national taxes? How does this work? Thank you so much for the great content with the 10 free videos series and for the everyday life by answering our questions. I have my Shopify account and now I am setting up the store to be ready to look for products. I cannot wait to start running my Shopify store. Here my question. I am in Montreal – when the customer buy a product from my store, I have to charge in CAN $ and charge the provincial-national taxes? How does this work? I really enjoy your webinars you have a great energy and kindness. Let me address this right out the gate. The first thing that I want to bring up is first of all I am not a tax lawyer or an accountant. What I would tell you to do is to actually find a local tax lawyer or an accountant to verify this information. Now, what I am about to share with you is based on my experience and based on what I know but you need to do your own due diligence to figure this out. I’m not giving you advice; I’m just telling you based on my experience. I’m just cleaning up my legal liabilities right out the gate first. Moving on so your question is “when the customer buy a product from my store, I have to charge in CAN $ and charge the provincial-national taxes?” Here’s the deal; you can go to TD Bank, CIBC or you can go to Bank of Montreal or whatever banking that you love to use and create a USD account because in Canada we’re able to create a USD account. Having a USD account right into the Shopify we can actually put in our deposit information with USD so in that case we are collecting USD and spending in US dollars. In regards to provincial-national taxes, here’s what I know again, I’m just telling you based on my experience you have to double check with your local attorney or accountant just to confirm this information. If you are in Canada and you’re selling into the United States, you actually do not need to collect any tax. It’s just a treaty that the US and Canadian government has in place; however, at the same if you are advertising in Canada, you’re having Canadian customers going to your source so your ads are going after Canadians then you have to collect provincial tax based on where the customer is living. Let’s say in BC then you have to collect the GST. If it’s in Alberta, you have to collect the GST and in Quebec you have to charge HST. You have to collect GST for every province and if some of the provinces use HST then you have to collect those as well and submit them to the CRA at the end of the year. That’s what you have to do. If you have to collect these then you have to create a corporation for your business. You cannot do it as a sole proprietorship even if you do you still have to register for a GST account so you actually send the remittance to the CRA and pay your taxes. However, again, based on what my knowledge is if you’re selling outside then you don’t have to collect any taxes. I’m not an accountant; I am not a legal person I’m just sharing with my experience based on what I know. [0:16:45] Question 3: How important is the relevance score for our Facebook WC ads we run for Aliexpress products? Is there a minimum score we must aim for? And what can we do in order to get the highest relevance score possible for our ads? How important is the relevance score for our Facebook WC ads we run for Aliexpress products? Is there a minimum score we must aim for? And what can we do in order to get the highest relevance score possible for our ads?Thank you so much for the amazing value you provide for us Fred! The answer to your question is that relevance score is important but it’s not as important as the four levels of optimization that I share about which are again; the Cost Per Purchase, the CTR link, CPC link and also the CPM. The relevance score is a secondary data that I look at to really determine if my ad is creating a rapport with my target audience. The higher the number is then the more engagement you are going to get and it just tells you that your audience is loving this product and chances are you will actually succeed with it and sell really well. At the end of the day, relevance score is an indicator to actually tell you if that product, if your ad is really resonating or creating a rapport with your audience. Ultimately, if you are having a relevance score of a three but you are still getting your Cost Per Purchase lower than what you anticipated then guess what? It is absolutely going to be fine; you can ignore it. 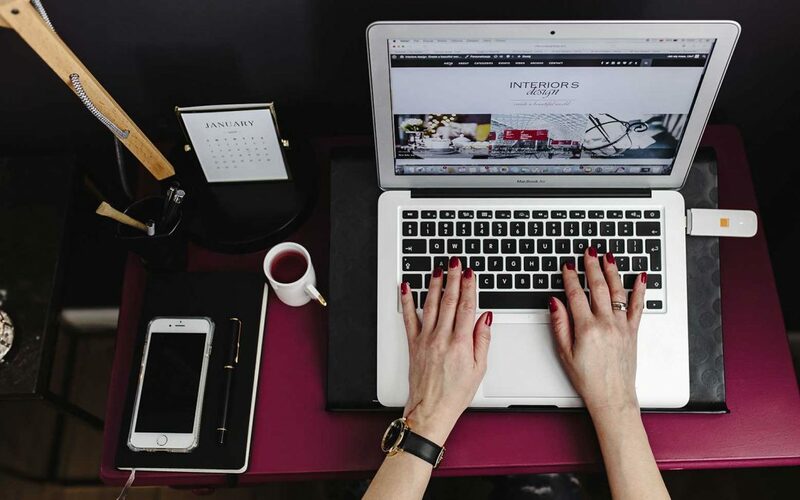 However, if you’re not hitting the data points in terms of Click-through rate, Cost Per Click and Cost Per Purchase then you may want to look at the relevance score and really see because it may mean that the ad and the product are just not resonating with your audience. When you’re asking about the minimum score to aim for, I aim for at least a six. That’s what I really look at. If I have lower than six I kind of predict that the ad is not going to be long term for me and it’s not going to be scalable but again like I said earlier it can be a three as long as you are attaining your Cost Per Purchase that’s going to be absolutely fine. And when you asked about “what can we do in order to get the highest relevance score possible for our ads?” It really goes down to the image or the video, the post text and lastly the product itself. As long as you’re able to speak the language of your audience, as long as your audience knows that the product is something that they really want then your relevance store is not going to be a problem so you want to play around with it and actually go from there. [0:20:38] Question 4: Can we sync products from other vendors than Aliexpress vendors, for example Wholesale Central vendors, and will Zero Up order those products automatically? Can we sync products from other vendors than Aliexpress vendors, for example, Wholesale Central vendors, and will Zero Up order those products automatically? The answer to your question is NO. We’re only integrated with Aliexpress right now but we are actually looking into integrating with something that I cannot share what it is yet until I got all confirmed and signed then I’ll share with you guys what it is. So the answer to your question is NO, we’re not integrated with Wholesale Central because Wholesale Central is really just a directory of suppliers and you can’t connect with it. [0:21:18] Question 5: When I purchase my domain name should I add the search engine visibility?When I purchase my domain name should I add the search engine visibility? When I purchase my domain name should I add the search engine visibility? That’s really a good question. The answer is YES. Why not it doesn’t cost you a penny and you just have to fill out three fields inside Shopify. That’s what it is and you don’t really need to have a lot of information at the end of the day. Why not get search engine visibility when it only takes you like a couple of minutes to actually set it up. That’s what I would actually suggest you to do. Those are the five questions for today. Again, like I said everyday Monday to Friday I’m going to be here to answer five burning questions even though I’m sick right now I’m still going to show you my dedication on being here in helping you guys and to actually answer as many questions as I can for as long as I can just to make sure that you are taken care of and you are taking action. In regards to taking action, I’m an advocate of taking action and it’s very important for you again for those of you who actually missed this, right now Mr. Robert Kiyosaki and his entire rich dad team is hosting a two-day virtual summit, so instead of buying all his books you can actually learn everything for $1. You will learn exactly how you can go from working at a job which is actually classified as just over broke and becoming a self-employed, creating your own business and moving to the B quadrant which you can create a business and use that business to invest money to become an investor. If you want to learn from all the industry titans; we’re talking about tax experts, entrepreneurs, accountants, real estate, bit coin, stocks everything that you want to know seriously click the link above this video on Facebook or if you are on YouTube click the link right below that says tiny.ie/richdad It’s only $1. I will be shocked if you don’t even take action by spending this $1 in signing up I don’t know what can actually get you to keep learning. There’s a reason why it is $1, the reason is because if you pay for something rather than it is free you will make sure that you’re going to be there during the live online summit and actually take notes because you technically have a skin in the game although it’s just a $1 but it’s a commitment that you are making to yourself that you’re going to clear your schedule and be there for that 16 hours of intensive training where you basically build yourself to become financially independent. This is the exact book and first book that I actually read in the first 16 years of my life. This book also really transformed myself. It helped me to become who I am today because I understand about money. Money, money, money, it’s important that you understand about it because if you don’t know really what money is other than I can use this money to buy something or to pay for this you need to know you are missing out and that’s why you maybe be stuck right now. I don’t get paid with this dollar. This dollar that you invest, I get no commission for that so I want you go to link above this video on Facebook and right below the description on YouTube, click the link, make sure you secure your seat and I look forward on seeing you guys there because I’m going to be one of the keynote speakers. That’s all I have for today. Again, the URL is above this Facebook post and also right below the video description on YouTube. Make sure you secure your seat just for $1. I look forward on seeing you guys tomorrow in our daily huddle.